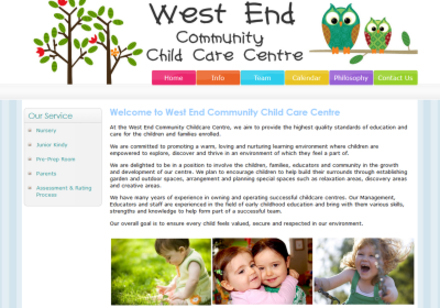 Website solutions for all types of child care services - big and small. 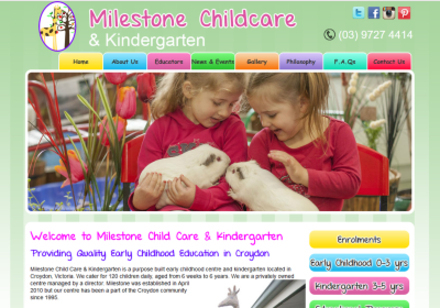 Websites for Childcare specialise in creating affordable "Mobile Friendly" website solutions developed specifically for child care providers across Australia. Do you need a website..? Or perhaps need to refresh/modernise an old website.. We can create an original design that is Mobile Friendly - a fully responsive website design for your child care service. We offer a range of packages to suit your budget & website requirements.. In an industry where your competition can literally be on the next block, we know how important it is for your Centre to stand out from the rest. Show off your best assets! Let your child care website feature all of the wonderful things your centre, your staff and your curriculum has to offer the children and families of your centre. Display photos of your wonderful indoor and outdoor learning environments, & your friendly Educators. Showcase children's artworks, ongoing projects and the Special Events the children enjoy on their learning journey at your centre. 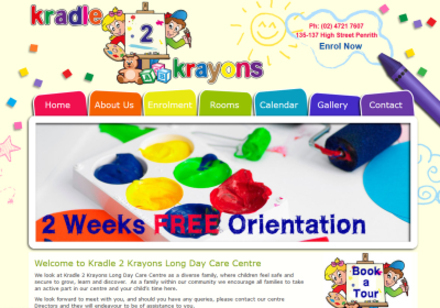 Your child care website can be a valuable tool to highligh the features and services that your Child Care Centre has to offer, as well as being an excellent communication tool with prospective new families, existing families, and also staff members. With our restricted "Members Only" Parent & Staff Login sections, you can provide access to centre policies, forms, and photo galleries that are safely tucked away from the public eye.